Power Consumption: 1.9 watts at 72˚F, 2.5 watts max. 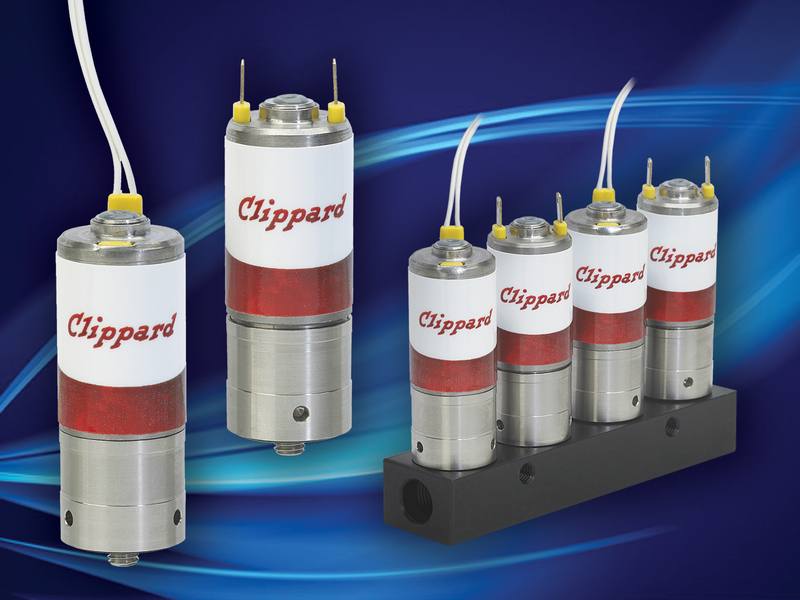 Clippard's newest DVP series proportional solenoid valves are precision-built 2-way control valves, utilizing Clippard's unique valving principle. This powerful series was designed as the next generation of Clippard's best-selling original EV line. With a lifespan of over a billion cycles; a solid, compact design; and extremely high flow rates, these valves are suitable for many applications across numerous industries. The DVP series provides air or gas flow control and varies the output flow based on the current input to the solenoid. 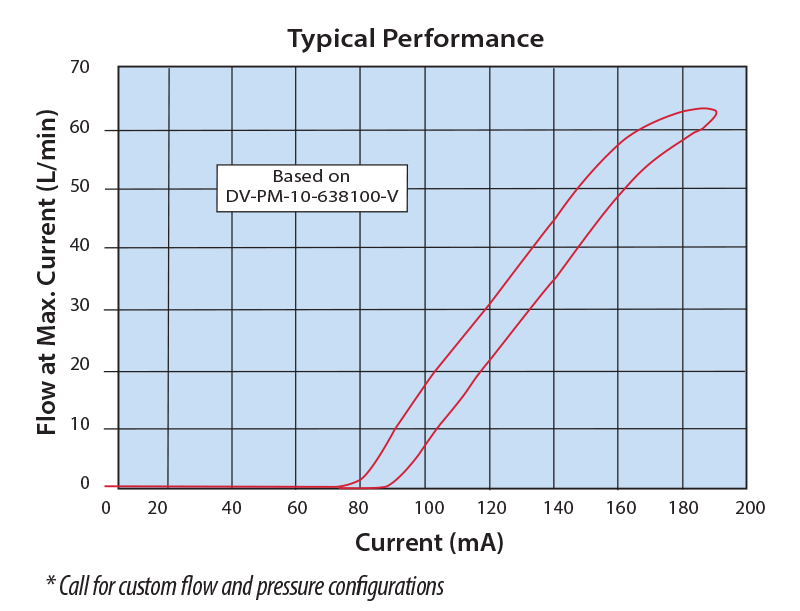 The consistent gain (see chart) of this valve provides a high degree of control. 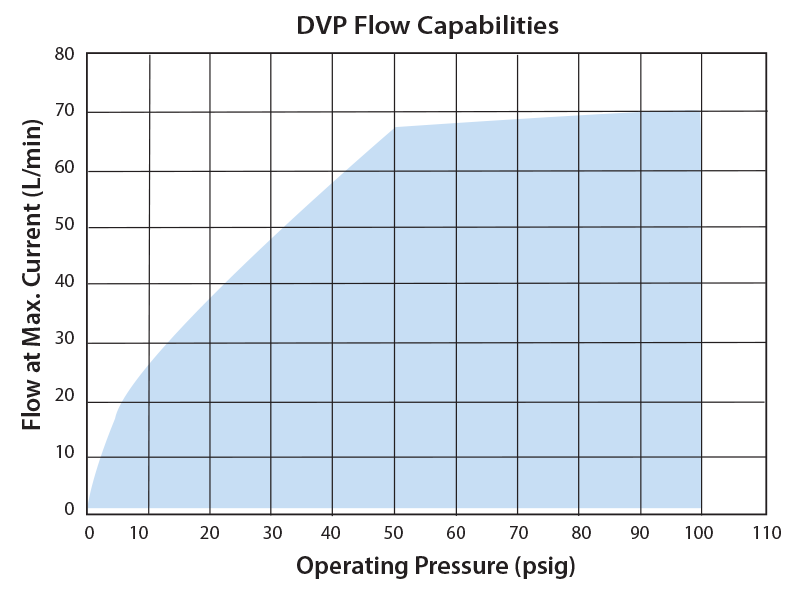 Controllability and overall value are the main features of the DVP series. The valve may be controlled using DC current, open or closed-loop control, and even PWM (pulse width modulation) to cover a large range of applications.